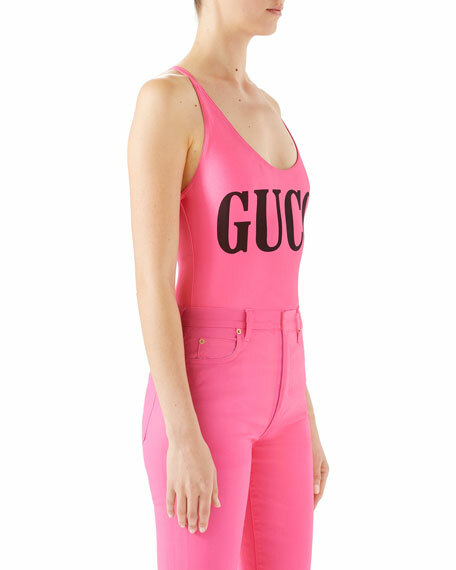 Gucci one piece sparkling swimsuit with logo print. 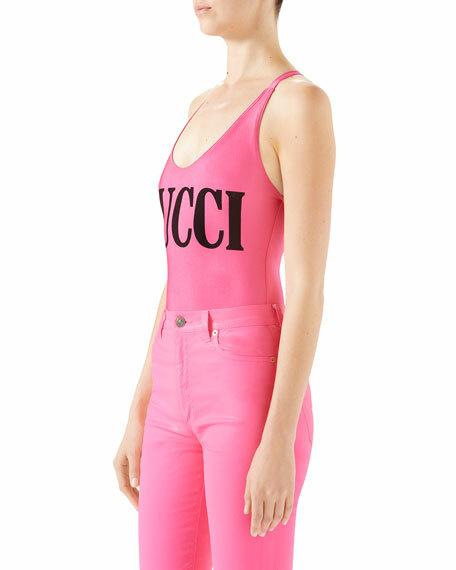 Note: Due to the nature of this particular fabric, this swimsuit should not come into contact with chlorine. 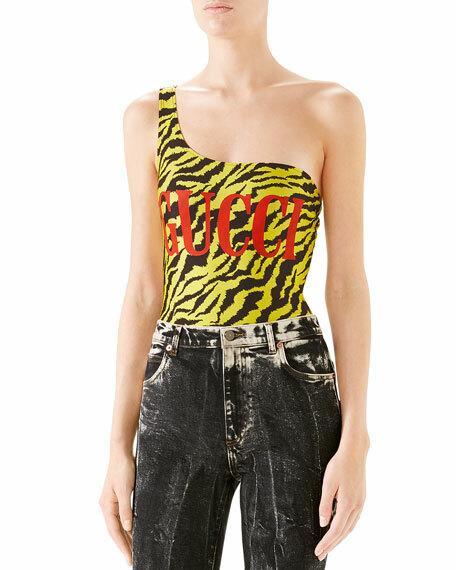 Gucci swimsuit in sparkling zebra print microfiber. Logo graphic on front. One-shoulder neckline. Formfitting. Nylon/spandex. Made in Italy. 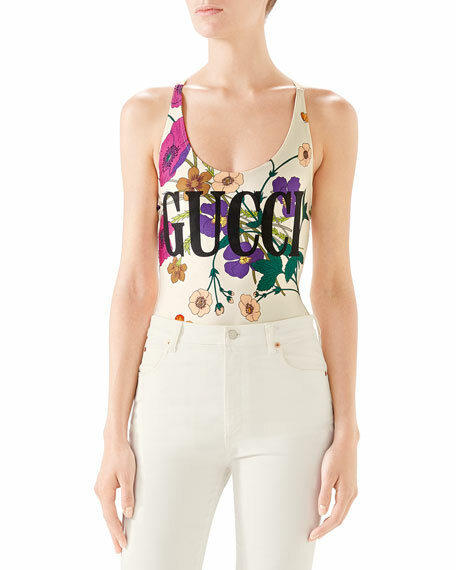 Gucci swimsuit with Flora Gothic print on sparkling knit. 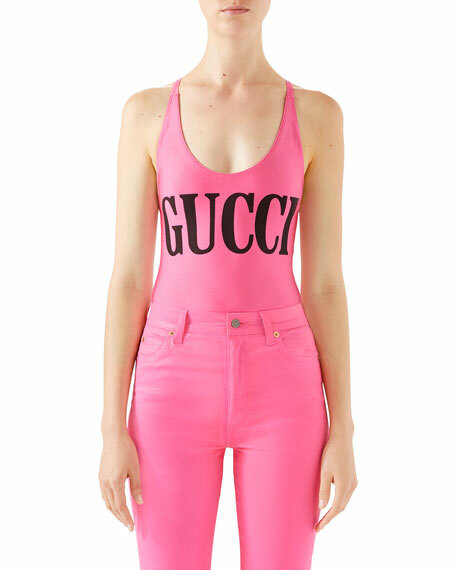 Gucci logo print on front. Self-tie halter; scoop neckline. Crisscross back. Fitted. Nylon/spandex. Made in Italy.